They say a child's mind is like a sponge so we should teach them early but it's also important to make the learning process fun to encourage them! 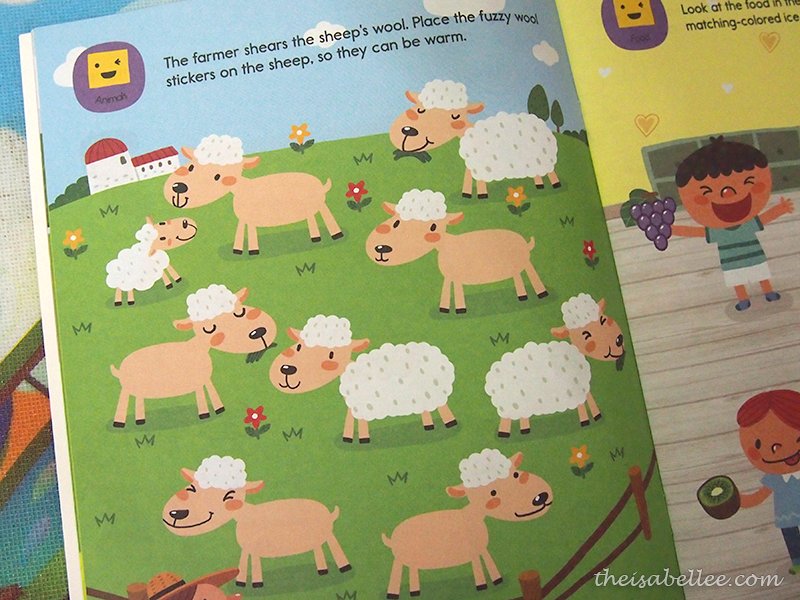 Your child is supposed to stick on the sheep's wool xD Here's one book I wouldn't mind playing with Carlson with.. 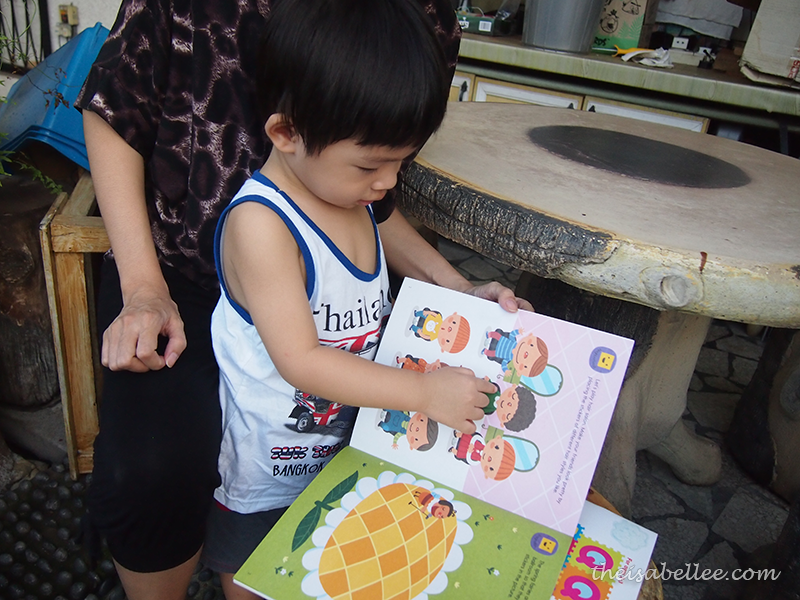 The books contain a lot of colourful visuals so we use them to teach him words too. 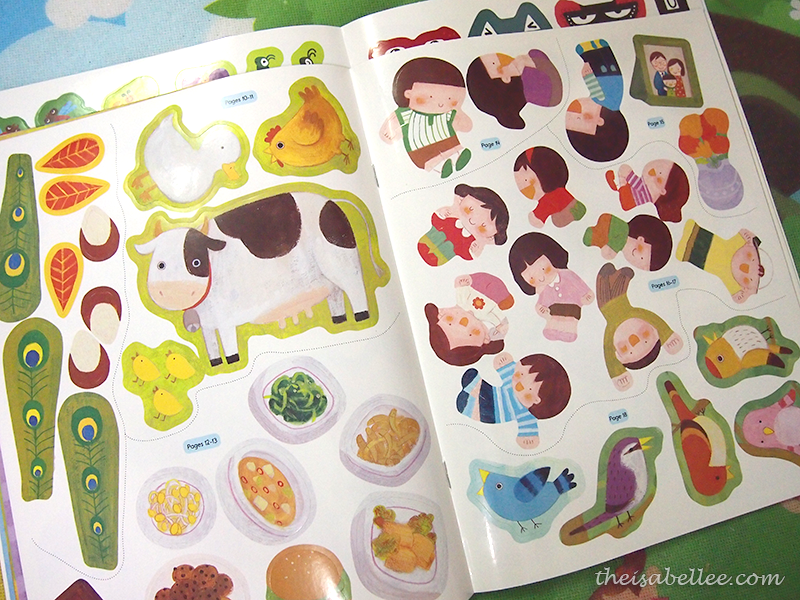 This is Carlson's first sticker book! 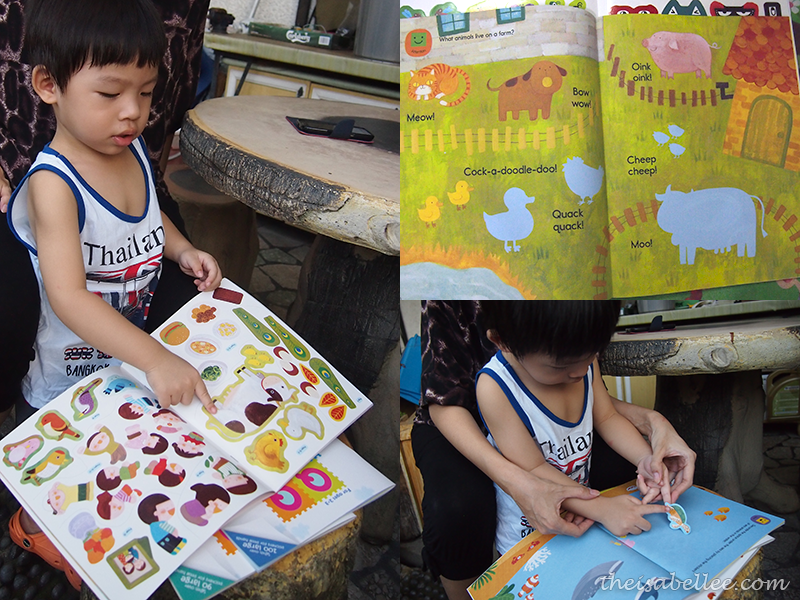 He was rather irked by the new sticky stuff at first xD Each book comes with 100 pieces of colourful stickers. Recently he's starting to learn animal sounds so this page of animals is great (I'm actually saying mooo while snapping this pic). 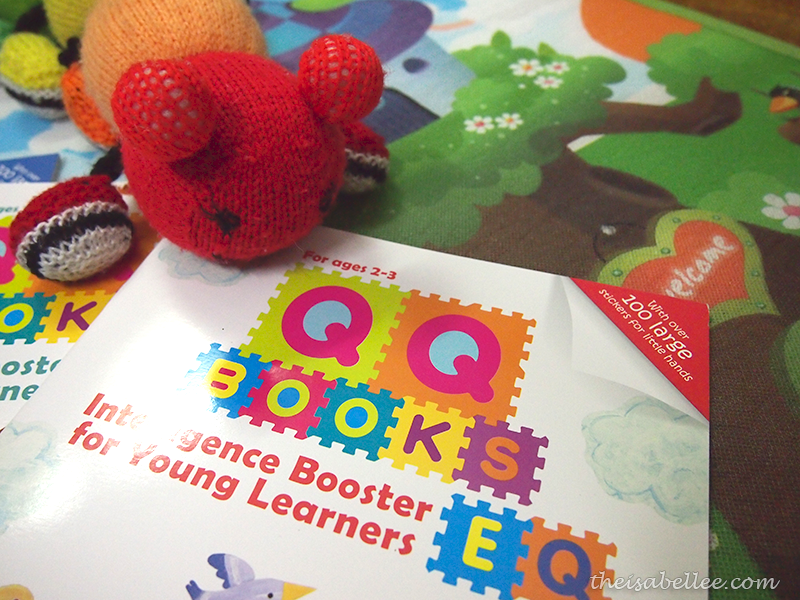 While they all look like normal sticker books, each set actually has 3 different books - EQ, IQ & CQ. 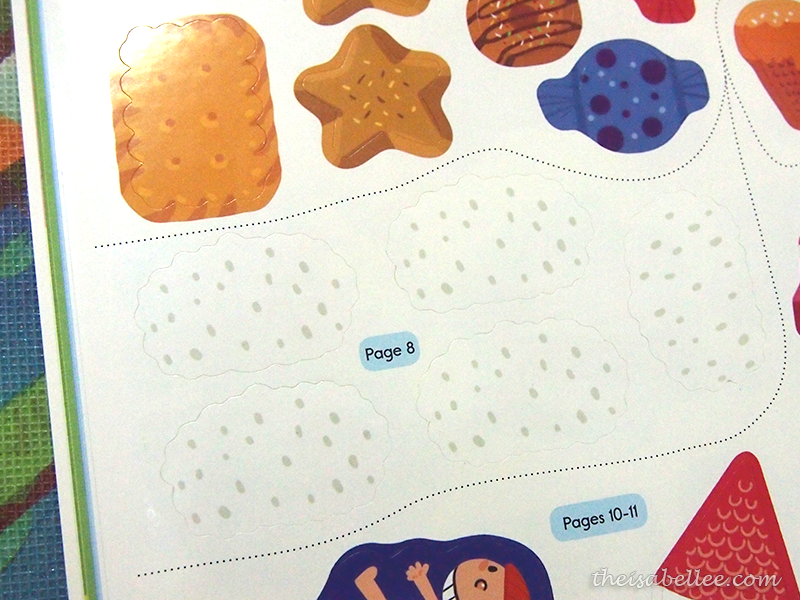 There are 4 sets: age 1-2, age 2-3, age 3-4, and age 4-5. Ability to absorb and retain information, problem solving, spatial imagery abilities. 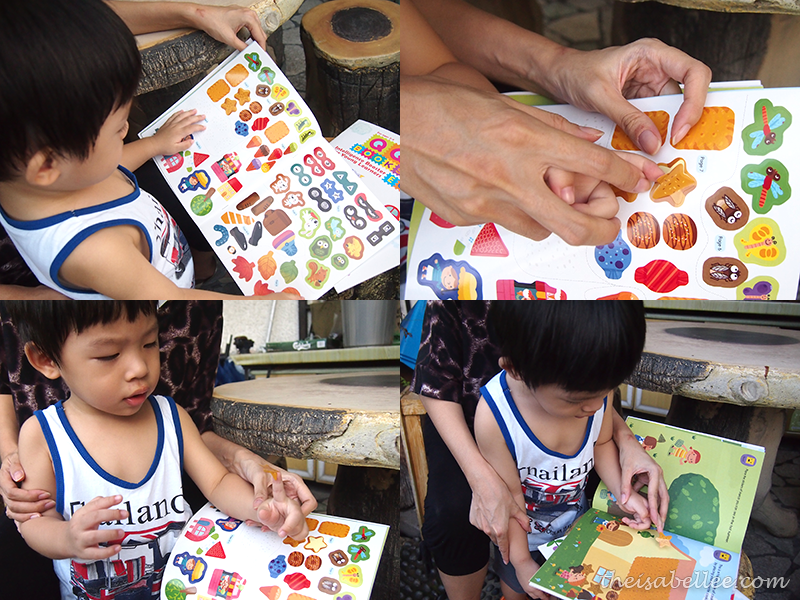 This book contains vocab, counting, classification, sequences, matching the sticker to the shadow/shape/halve, figuring out the animal based on the given body parts etc. Ability to manage emotions and be empathetic of others; develop self esteem & social skills. 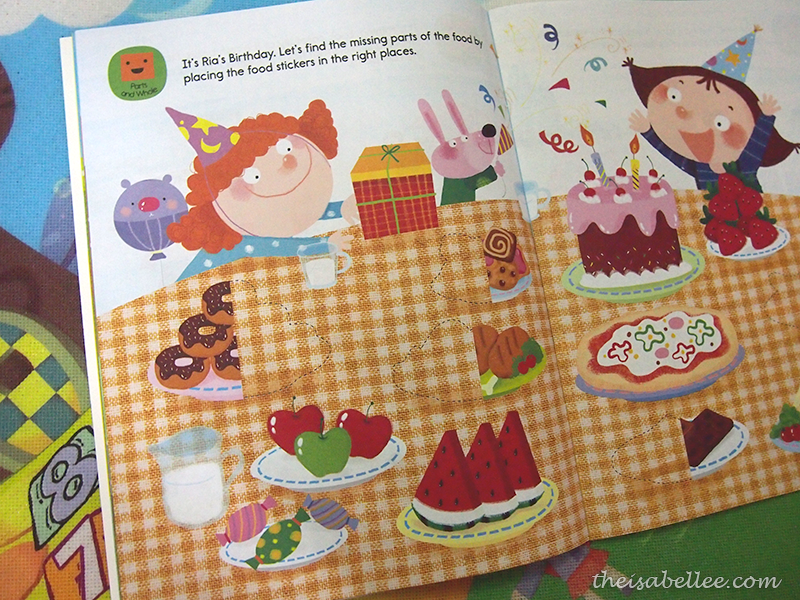 I found that it teaches children a lot of useful things such as putting back your toys, safety, personal hygiene, differentiating good/bad food and communicating with other children. These were published by Scholastic who has books catered for ages 0+ to young adults. Some of the popular titles like Hunger Games, Clifford and Harry Potter are under them as well. 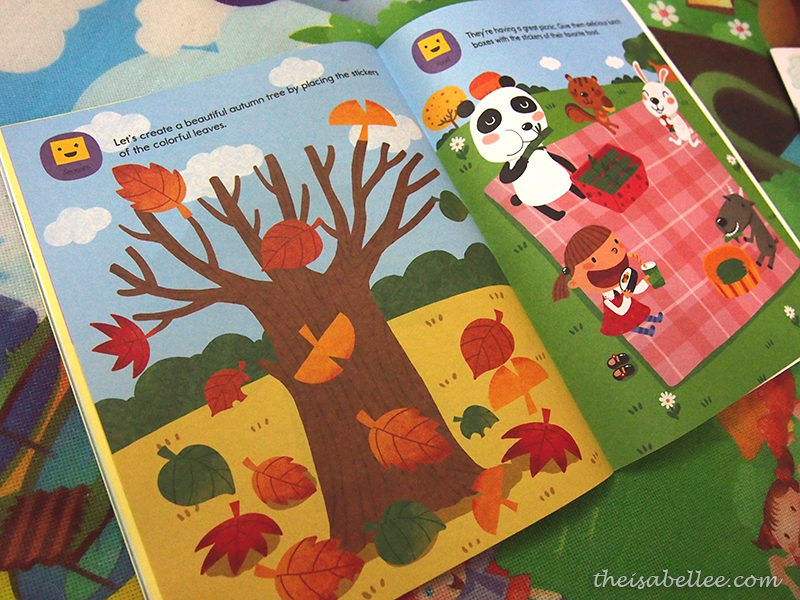 I have 3 sets of these books to giveaway! Simply leave a comment on my Facebook page timeline telling me what you like about the QQ Books. I will be contacting the winner from there. 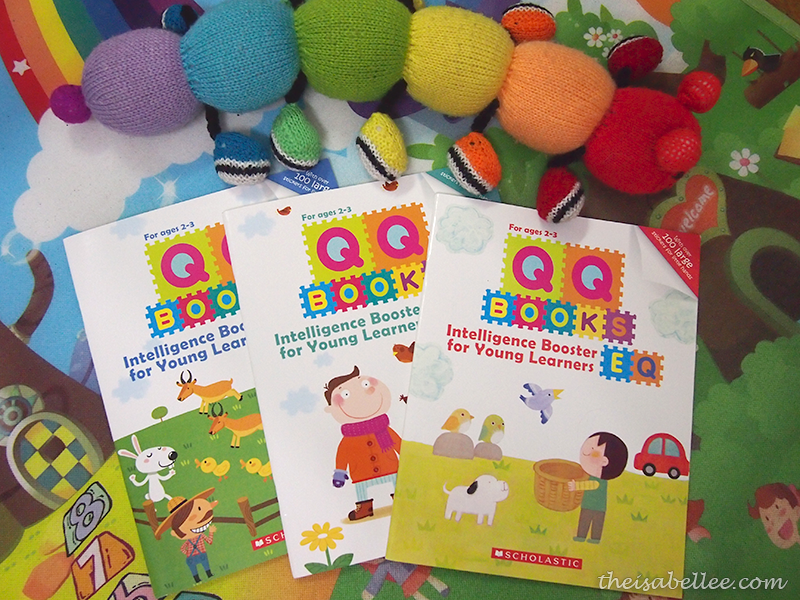 QQ Books and more by Scholastic are available at all major bookstores in Malaysia.